Anushka has recently done challenging roles in Baahubali: The Beginning and Rudhramadevi out of which Baahuali ended as an industry hit and Rudhramadevi ended up as a decent box-office grosser. She has been busy with multiple projects currently. Her recent outing SizeZero has been in news from the day the first look of the movie has been released. Anushka has gained a weight of Rs 20 kgs for her character in the film. She has done a challenging role in the movie as an obessed girl. Arya and Sonal Chauhan played the other important roles in SZ which has a strong social message about weight loss. The movie reveals that it’s better to lose weight by natural methods instead of weight loss programs. The movie received a good response at the multiplexes. The movie released in over 1500 screens across the world in Telugu and Tamil. 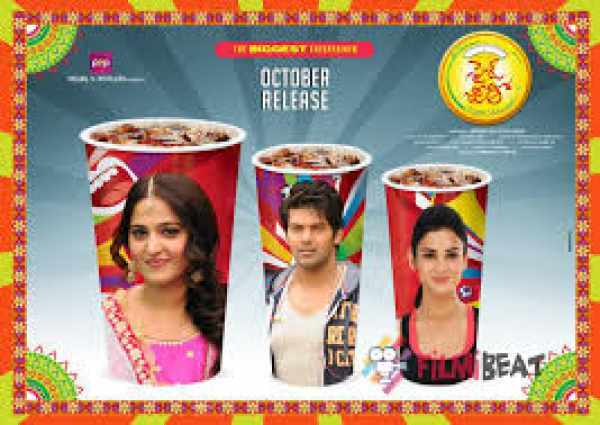 The Telugu version of the film collected Rs 5.5 crores on its opening day and the Tamil version minted Rs 2.5 crores. On the whole, SizeZero collected Rs 8 crores on its opening day which is huge. Anushka’s outstanding performance along with the poetic narration and clean entertainment made the movie a winner at the box-office. MM Keeravani composed the music and Potluri Vara Prasad produced the film on PVP Cinema banner which has been made on a decent budget of Rs 15 crore. The flick is expected to make out big figures over the weekend and the movie will cross Rs 20 crore mark in the first three days.